This guy has spread his merchandise on the car. We needed to tell him to get off. I moved to Yaoundé, Cameroon, about seven months ago. Many are the things have happened that I would classify as “culture shock”. You see, I am Kenyan, and even though it takes a lot of convincing to people who are not familiar with the continent, we are different. Country to country, the food, mannerism, culture, language, name it, changes. So one fine day, we decided to go out. After a scary battle with all the motor bikes for space on the road, we finally arrive at our destination, luckily without any mishap. We get out of the car. Hawkers are everywhere. One guy almost convinces you that the sunglasses you are wearing are old and need to be replaced. Another shouts that oranges are only 50 Fcfa. A very fat lady is cooking beans beside the car park. Her customers lazily look at the new arrivals, and resume their meal. We enter a shop. After about ten minutes, we come out. 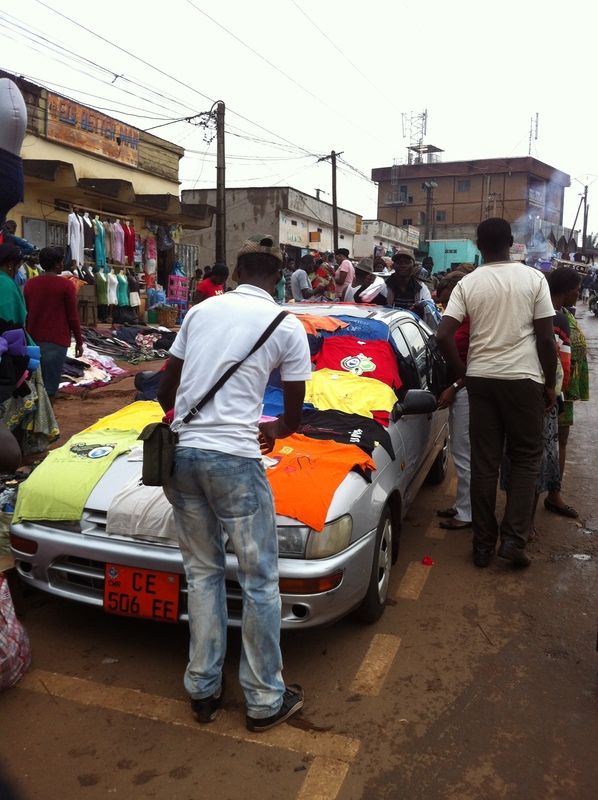 Getting away will be something of a hassle, because a guy selling t-shirts has laid out his merchandise on our car. He looks at us and starts the usual story. How do you tell such a guy to get lost? I look away, and my friend does all the honours. To get errands done here is very interesting, but also very time-consuming. I hope not to let it get on my nerves in the future. The crimson sky, the golden sunset; people bustling in the streets taking their evening walk leisurely; the music at the corner of each via, people humming their cherished tunes while holding hands with their loved ones; the little corners that lead up to a medieval experience; the Church bells tolling at the end of each hour; the architecture and the art that is mankind’s heritage: Piazza Navona, the Pieta, Bernini’s Gloria in St. Peter’s, the gold decorations of Santa Maria Maggiore, the Colloseum, just to mention a few; the Sunday Angelus with the Pope, with everyone shouting Viva il Papa! 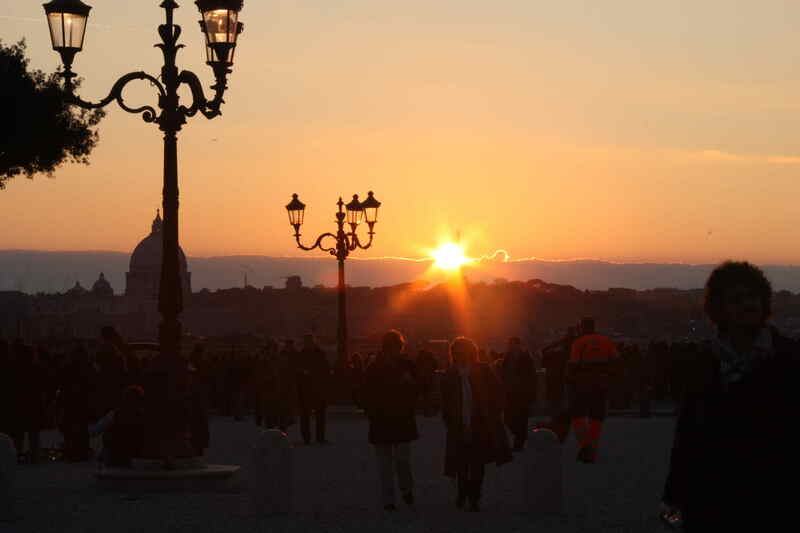 I could go on and on, but you get the point: Rome is more than delicious. All this makes me wish that time would keep still for a few moments, a few hours, and why not, for eternity. Am I not in the eternal city after all? 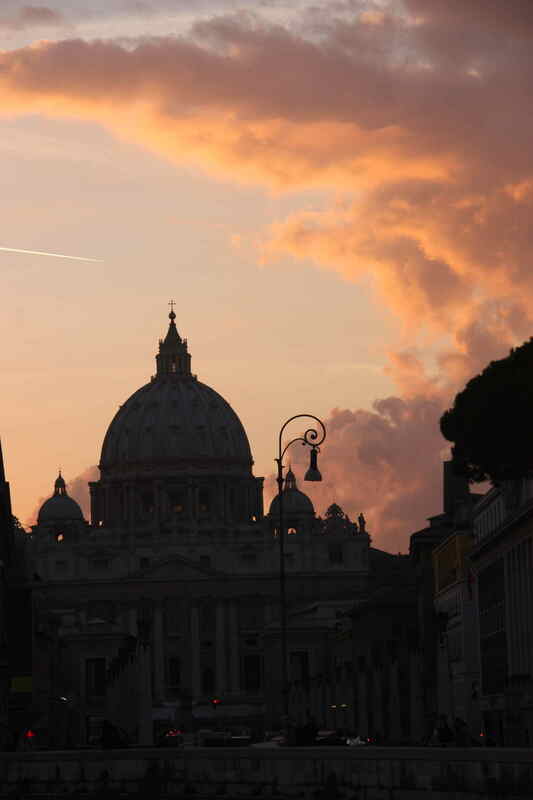 Things may come and go, but Rome will always be Rome. Dawn. The birds chirp, perhaps unsure of themselves at first, but soon give vent to the full potential of their lungs. The young ones cry out for food, and the mothers hastily leave the nests to look for the daily bread… oops … worm. They say that the early bird catches the worm, but woe unto that early worm. The sun can barely be seen on the horizon, on which is reflected the whole gamma it contains. It is a sight to behold, one of a lifetime, never to be repeated. The night gently gives way to the light, as if acknowledging the power of a rival, a scene reminiscent of the raising of a theatrical curtain. As the light increases, the faster the bird moves, it has no time for contemplation of the universe. The sunrise finds the bird busy, feeding its young ones. Down in the savanna, the young gazelle runs frantically after its mother, bleating. It can barely see the receding back due to the long brown grass, and the mother is determined to get to the watering hole in no time. Now and then, the mother stops and listens for the child. The young one bleats in reply, trying all the time to keep up with the rest of the herd. Consoled, the mother resumes the journey. 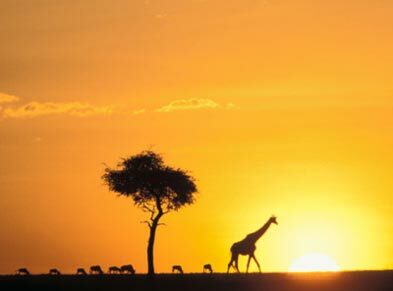 It is twelve o’clock in the East African plains. The hot air balloons can be seen in the air. The jeeps on the ground are innumerable. People from far and wide have come to witness what is really a wonder of the world: the wildebeest migration across Serengeti National Park in Tanzania and Maasai Mara Game Reserve in Kenya. Why do 1.5 million of animals undertake this feat? They do so in search of pasture, without which they are doomed to extinction. It is truly the planet’s last great epic of life and death. Heedless of all the attention, river Mau, now brown in colour as a result of the rains, flows downhill. It encounters no obstacle; in fact, its course is now easier to effect. The Mau River has burst its banks. The crocodiles lie in wait. They are feasting today. The great animals are crossing and it will be no problem hunting, what with so many stuck in the mud and unable to find their way across the torrents of water passing with unquenchable force. Off the river, at some distance away, the lions are thinking the same thing. Their strategy: the weak, the old and the young. There is no point wasting energy attacking a healthy bull. Besides, there is bound to be some stray animal, separated from the rest. It is just a matter of time. Patience, they all nod in unison. Need I also tell the story of the fishes in the Indian Ocean, and the feasts of the kingfishers and their relatives on the shores of Lake Victoria? Need I go to intricate detail of the dances of the apes on the slopes of Mount Kenya and elsewhere? They say that seeing is believing, and I sure hope that they are right. Last Saturday, Leslie and I went for a walk. I prefer walking on grass and as she did not mind, we went to the park, instead of window shopping in the malls. It was a pleasant day: the sky was blue, the wind was refreshing, and the sun was doing its magical thing just right. We were content, what with a whole week’s hustle and bustle. All stress was forgotten in a jiffy. Relaxation did not take too long to find us, and we welcomed it with open arms. We talked of this and that. She told me about her friends. One of them has a pet dog called Tilt. Her niece has curly chestnut hair; she is lovely and fun to be with. Jassica is a promising leader in her high school. She is gifted in dance and drama, and she has an immaculate smile. Tom and his wife also number among Leslie’s friends. They have started walking regularly and she has lost a few pounds as a result. She makes her husband eat right. 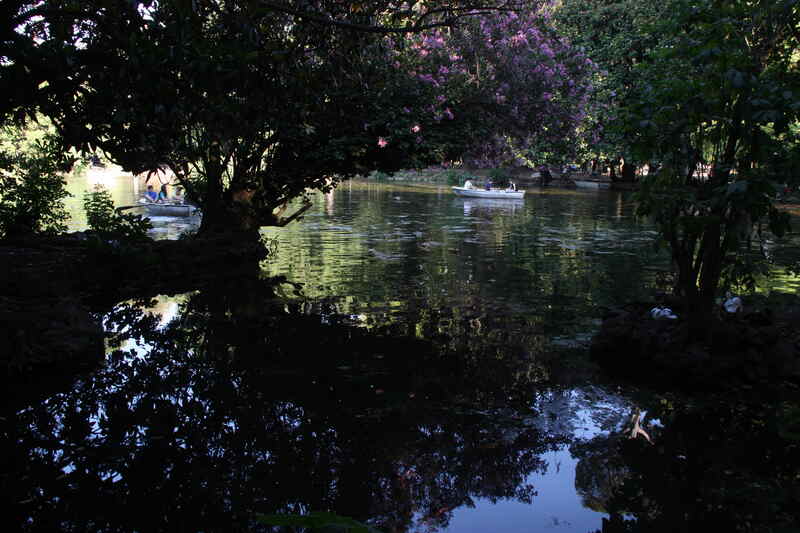 At some point, we sat by this beautiful pond in the middle of the park and just contemplated. The boats seemed to glide on the water as if carried by some unseen water goddess. The children played and laughed. The parents did not want to lose sight of their little ones. The dogs playfully went this way and that. It was magical. Leslie can get quite chatty when she sets her mind to it. And I love her laughter, so carefree, so relaxing. I went back home feeling as though I had known her all my life. She is one of those people who make you feel good about yourself. I am glad that I walked with her. You see, she knows so much about keeping fit and she doesn’t let you do more exercise than is necessary. It is so simple to be in shape. Last Saturday, Leslie and I went for a walk: in the comfort of my sitting room. We prefer to walk at home. Yesterday I went to Monte cassino and proved that God exists. 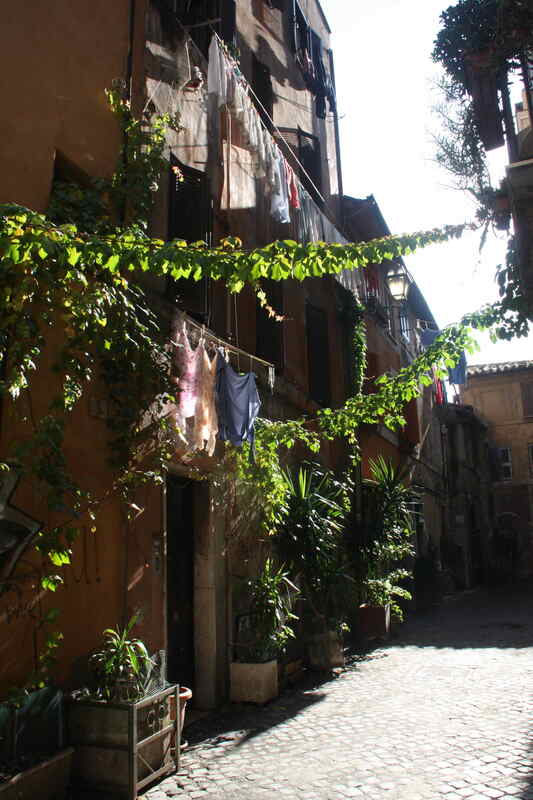 I thought that it was three hours away but it turned out to be one and a half hours away from the city of Rome. The day was beautiful, with sun most of the day. It was a bit cold, being early November; of course I had a coat and my faithful grey-black woolen scarf that I have recently acquired. We talked of this and that, many times escaping the bitter cold by stopping under the sun. Once, waiting for someone to join us, I stood in the sun, with my face a little inclined upwards, and closed my eyes with my hands in my pockets, not caring for a moment what the others were saying. I listened to the sun rays as they made contact with my skin, warming me in the process. I smiled. It felt good. My thoughts escaped to a long time ago when I was in primary school in a science class. The teacher happened to find one of my classmates with her sweater on at 12 noon. It must have been very hot, and she must have been sick for she had her sweater on at that time. Anyway, the teacher made a comment to the effect that if she didn’t take her sweater off, she wasn’t getting vitamin D. It was not a particularly striking memory, so I quickly forgot about it. I don’t know a lot about the vitamin D, I only knew that it felt good to absorb the rays as I was doing, with a smile on my lips. I mean, the sun is the most natural thing in the world and we only realize its existence when it’s absent or when it overworks itself in summer. I think that the God who created the sun must be a joyous person; he must love play and have fun in general. Why do I come to such a conclusion? Because the sun makes me smile, makes me close my eyes and long for my beautiful tropical motherland, makes me want to take off my shoes and roll on the grass, makes me want to shout and run around like butterflies do. I think that the sun is great, it is also a miracle. The person who put it there must be powerful, like God. He must also be such a one as who is like a mother, knowing what things are pleasant for their children, what they enjoy. Please God, let it be there always, pleeeeaaase! The monastery is located on top of a hill. 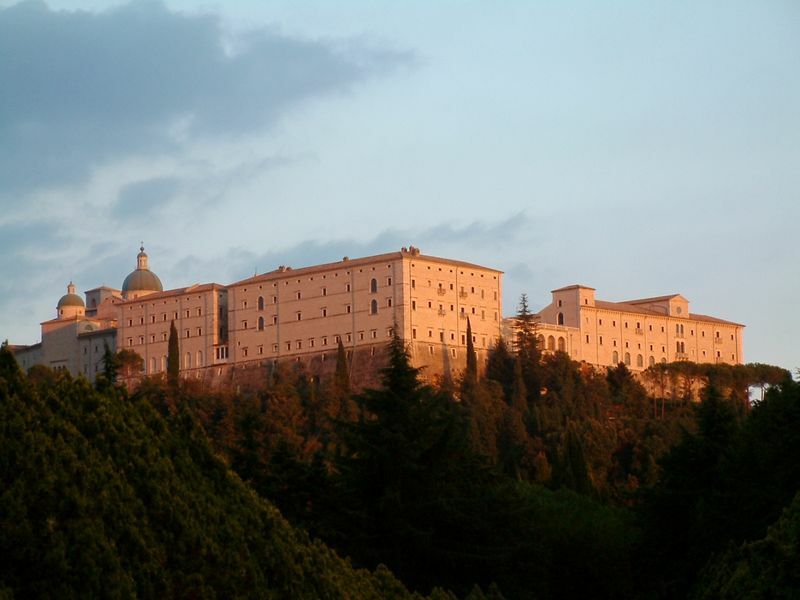 St. Benedict founded it in the 6th century and despite four destructions: the lombards, the Saracens, earthquake and World War II, it still stands as majestically as ever. I instinctively knew why the founder of the monastic life chose it. It is very easy to fall into contemplation while up there, with the wind in your face and the hills and the little settlements far away roll out before your eyes. I forget about such things as exams and assignments in a second. The sunset is spectacular, it lasts longer that when one is on flat ground. The sky suddenly wears an assortment of colours; it looks like a natural fashion show. It is one of the most amazing wonders of the world. After a quick tour of the premises, we enter the cathedral. It is all newly done, after the bombings in the war. But at a glance one can hardly tell. The multi-coloured marble mosaics on the walls and the floor looks like it was done in the renaissance. The monks are at vespers. They stand around the altar, the only illumined place in the whole cathedral. Their Gregorian chant lifts up to the high ceilinged room and is swiftly and gently carried over the dimly lit atmosphere. An organ accompanies their sung prayers and the incense halts reluctantly before heading heavenward. Several people follow from the pews, devout. Everyone watches, silent. A prayer is led, there is a response, then another prayer and so on and so forth. During the intervals, you could hear a pin drop. After about twenty minutes, the concluding prayer is said and they all go out in a procession. As we head towards the crypt, I think that God must have been listening, pleased.